Africasino’s St. Patrick’s Day promotion started in March, and continues well into April. 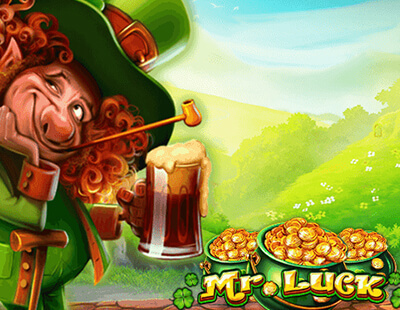 Until April 17th, you get to Go Green with Mr. Luck at Africasino. In addition to this, the Dragon Pearls Hold and Win tournament is underway, and ends on April 4th, 2019. Do you have the luck of the Irish? Can you find the end of a rainbow with its pot of gold? Whether you answer yes or no to these questions, you certainly can find cash spins in the Go Green promotion. Play the Mr. Luck slot game from Felix Gaming, and make your own luck. For every 170 rounds you play on the Mr. Luck slot game, you get 17 free cash spins. This means the more you play, the more cash spins you get. In addition to this, throughout the promotional period, you get a 77% match deposit bonus up to €100 each day. Redeem this special match deposit bonus offer with the coupon code GREEN up to once each day. Match deposit bonus winnings come with a 30x wagering requirement. Please note that the casino awards 17 cash spins as many times as you play 170 spins on Mr. Luck. You may use both real money spins, and bonus funds for your 170 spins total. There are no wagering requirements for cash spins winnings. The Dragon Pearls tournament is an international tournament which started on March 28th, and continues through the end of the month until April 4th. This gives you the opportunity to win big in Euros as an SA player. Play the Dragon Pearls slot game from Booongo for the chance to win a portion of the €50,000 prize pool. Simply place your wagers on the Dragon Pearls slot game, spin the reels and gather points. You get 10 leaderboard points for every 1–10 coins you win per spin. If you win between 10 – 20 coins in a spin, you get 20 leaderboard points. Get 50 points for 21–50 coins won per spin, 150 points for 51–100, and 400 for 100–400.